Hi my name is Beth Slutsky, and I’m one of Shennan’s close friends at the History Project. While Shennan is paddling her way down the Colorado River on what I’m sure is a wildly adventurous trip, I wanted to update you on what we’ve been up to at Davis. In fact, we have very good news to tell our CHSSP friends. I am proud to announce that after months in development, the Cold War Blueprint Unit is now available on our website: http://chssp.ucdavis.edu/programs/historyblueprint/coldwar . You can view and download all of the different pieces from this website. Over the past few months Shennan has provided you with terrific snapshots of activities in the unit, but I’d like to introduce the Cold War Unit in its entirety. The content of the Cold War Unit is intended to be all-encompassing for world and U.S. History students. It is united structurally and intellectually by one unit investigative question that frames the whole thing: Why and how was the Cold War fought? In posing such a broad question, the unit draws on new historical scholarship about the global context of the Cold War. Here is a bit of what we wrote to introduce and frame the unit: The Cold War that spanned more than four decades touched nearly every country on earth. The ideological, diplomatic, military, and cultural struggle that started between the Soviet Union and United States went through a number of phases as people and countries in the post-World War II era struggled to define what freedom would mean for them. This unit of study contains two strands – one for world history students and one for U.S. history students. The first path through the Cold War focuses on the origins of the world-wide conflict; the newly emerging nations that had been colonies before World War II, and then after the war had to choose whether to align themselves with the United States, the Soviets, or choose something else; the international conflicts that arose as a result of those alliances; and finally the end of the Cold War and the collapse of the Soviet Union. The second path through the Cold War teaches students about the roots of the conflict; the ways in which the American government imagined and implemented anti-communist policies abroad and at home; the effects of the Cold War on individual Americans; the war as it came to Vietnam; and finally the end of the Cold War. 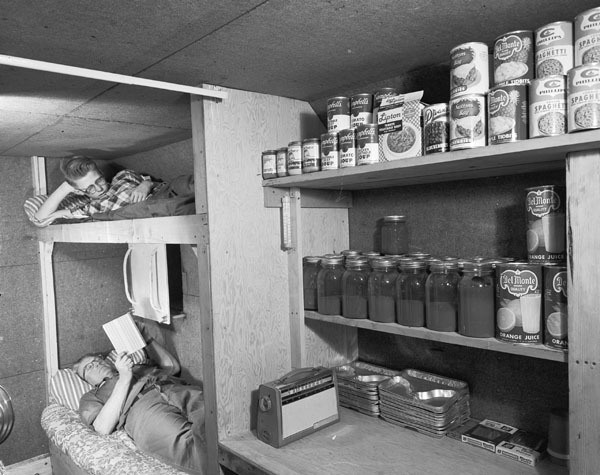 addresses made by Churchill, Stalin, Truman, Gandhi, Castro, Kennedy, Johnson, Nixon, Reagan, Gorbachev, and dozens of ordinary citizens that experienced the turmoil and daily life of the Cold War. The unit concludes as it begins with a focus on an engaging and historically significant question: Why and how was the Cold War Fought? In addition to teaching students about the Cold War, this unit teaches students how to read, write, and think historically, analyze historical evidence from primary and secondary sources, and make interpretations. Students will practice Common Core reading and writing skills, especially identifying the perspective and point of view of a source, integrating information from visual and written sources, identifying evidence from sources, using that evidence to support an argument or interpretation, and communicating that argument in well-conceived sentence, paragraph, essay, or explanation. • Both World and U.S. history students will learn about the origins of the ideological and geostrategic conflict, and how the U.S. and Soviet Union created competing blocs in which to engage each other (CWW/A1). • World history students will study how newly emerging nations attempted to negotiate a third way between the two super-powers, but often faced serious struggles from within and outside their borders, as was the case with the Suez Canal Crisis and Chile (CWW2, CWW3). • U.S. history students will learn about how containment was used as a strategy to wage the Cold War abroad through foreign and military policy (CWA2), at home through a re-organization of an anti-communist government and build up of American suburbs (CWA3), and in the escalation of the war in Vietnam (CWA4). • The unit concludes with an investigation into how the Cold War ended, which focuses not simply on the collapse of the Soviet Union, but also on the many changes preceding it inside and outside of the Soviet Union, and the world order that came to replace it (CWW/A5). • Cold War World/America (hereafter CWW/A)1 (Origins of the Cold War) is intended for both world and US history students. • CWW2 (Decolonization) and CWW3 (Principles vs. Practices) are intended for world history students. • CWA2 (Containment Abroad), CWA3 (Containment at Home), and CWA4 (Vietnam) are intended for US history students. While this unit has been months in the making, we still have many more months in front of us as we streamline and revise its different components. On our website you’ll find a “provide feedback” link where you can click and send us your thoughts and suggestions about how it can be even better.